Wen-Wang Gua is the most popular and widely deployed Divination using Hexagrams today. Based upon experiences from practitioners all through the years, WWG has established a set of consistent and repeatable rules and guidelines and become a very powerful deciphering tool. “A Beginner’s Guide to Wen-Wang Gua” covers all that you know to kick start with mastering this ancient but powerful deciphering technique in simple language, without jargon. Lots of charts to guide you through, no mistake would be made. Covers the very basic concept of “Yi” with charts and diagrams to enable an easy understanding of the concept and to prepare you for Wen-Wang Gua. Focuses on the casting technique using three rounded coins – the simplest way to learn without going through the tedious technique using 49 stalks of yarrow. Covers a step-by-step approach with lots of charts and diagrams that walks you through the complexity of Setting. Covers straight forward deciphering rules and guidelines in simple language with a few examples to demonstrate the use of the rules. 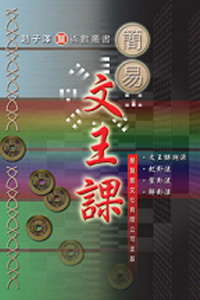 Includes 64 Setting diagrams for each of the hexagrams in “Yi-jing” as the Original Hexagram 本卦 excluding the Changed Hexagram 變卦. This book is written for people who wish to learn Wen-Wang Gua even ones without any background on WWG.